Pocketwatch Games, developers of award winning Monaco: What’s Yours is Mine, have announced their next game, Tooth and Tail, will be coming to PS4. 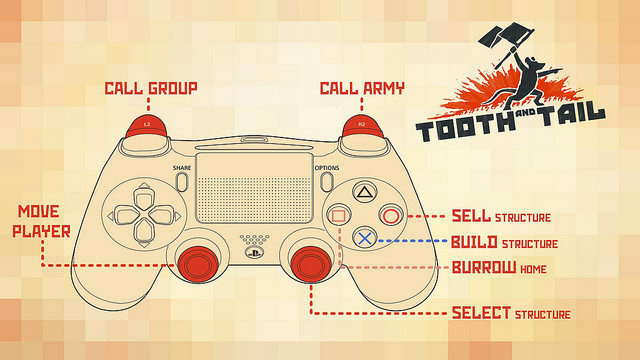 Tooth and Tail sticks to classic RTS roots while be designed around a simple control scheme. Pocketwatch games have stated they want anyone, from the most skilled RTS player to someone new to the genre to be able to pick it up and have fun. From what they’ve been saying, this is exactly what’s happening. 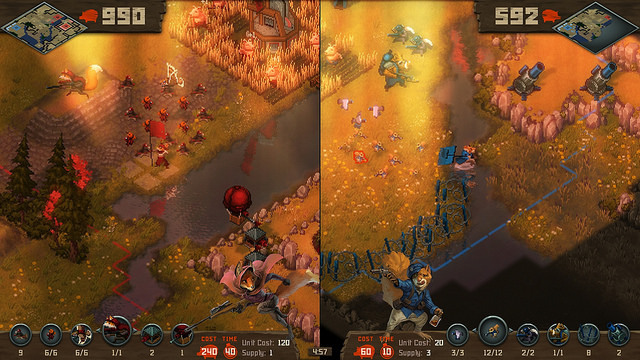 “You jump straight into the Arena, Tooth and Tail’s online competitive mode. Between the randomly generated maps and the customizable factions, you find that every match you play is entirely different. In one match, you sneak-attack over a hill with a fleet of dog-fighting Falcons. In another, you build an explosive Toad army to go knock on their front door. It isn’t long before you realize that this “distilled” RTS isn’t simple at all. It’s endless. Seeing as how the same lead design team behind Monaco are at the forefront of Tooth and Tail, it’s looking to be as promising an RTS as any. This includes such names as: Andy Schatz, Andyu Nguyen and Austin Wintory. For fans of Mice Guard or Maus, this is right in the same wheelhouse, just in video game form. Not a bad thing. A video game being available for multiple platforms is always nice, it means a wider audience and more conversation around said game. No release date has been announced yet, so for now, just enjoy cute animals fighting in war.